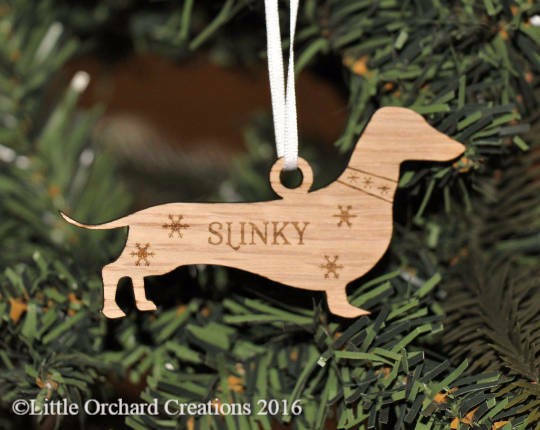 We can also make other dog breeds too just pop us a message! 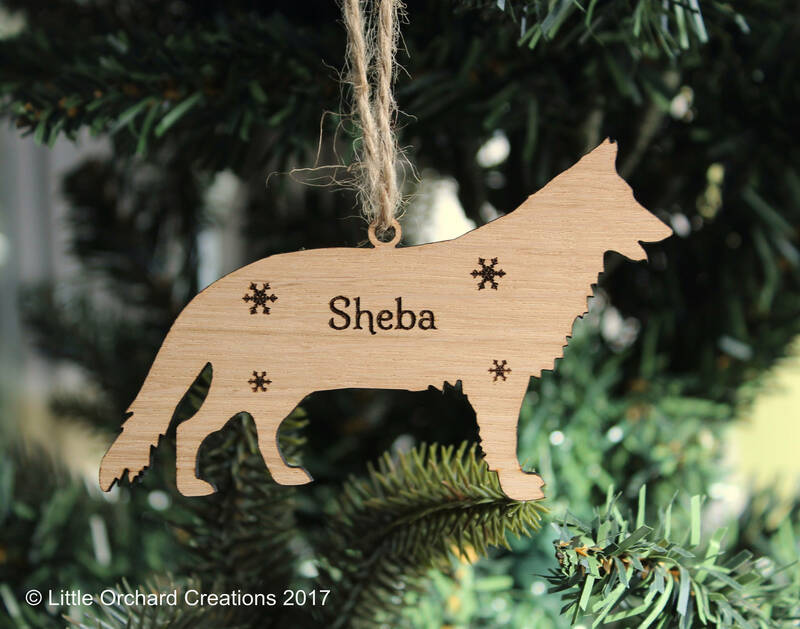 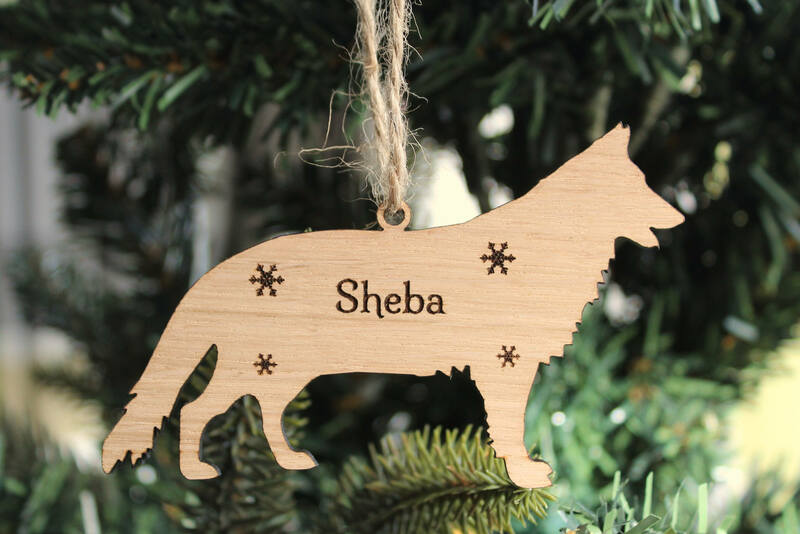 German Shepherd Decoration engraved with your dogs name. 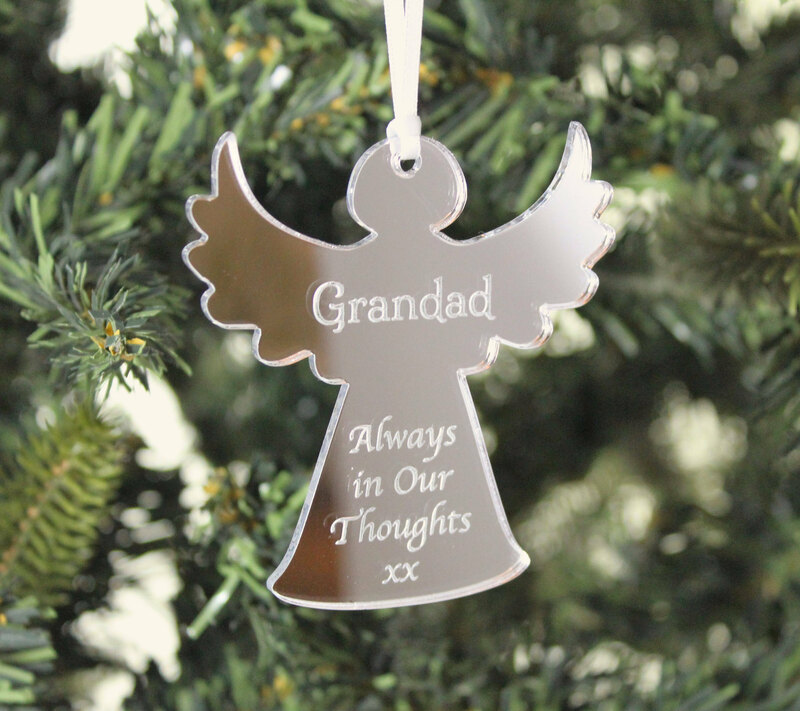 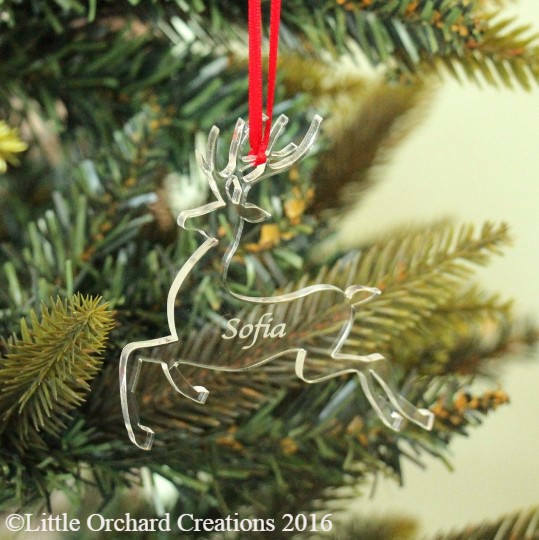 Decoration comes with ribbon (colour of your choice) ready for you to hang on the tree and a black organza bag to keep your decoration safe. 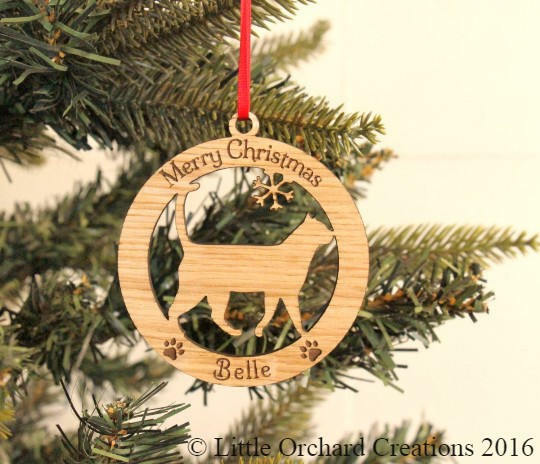 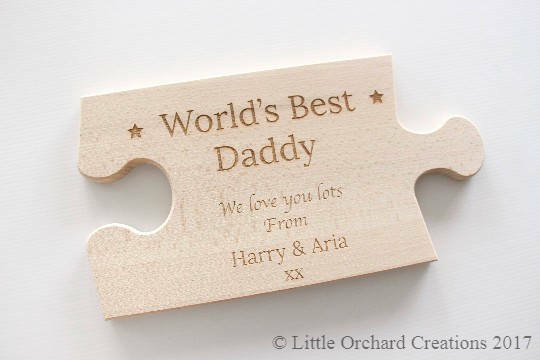 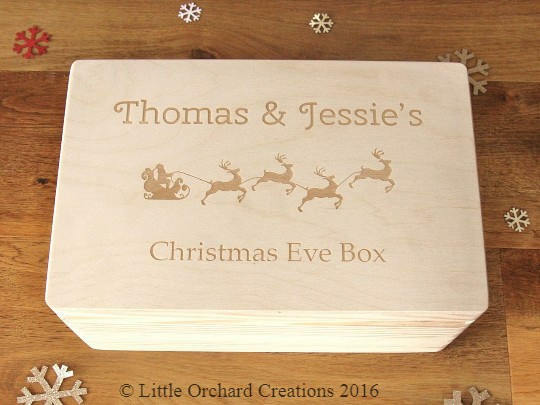 The perfect gift for any dog lover & can be used year after year! 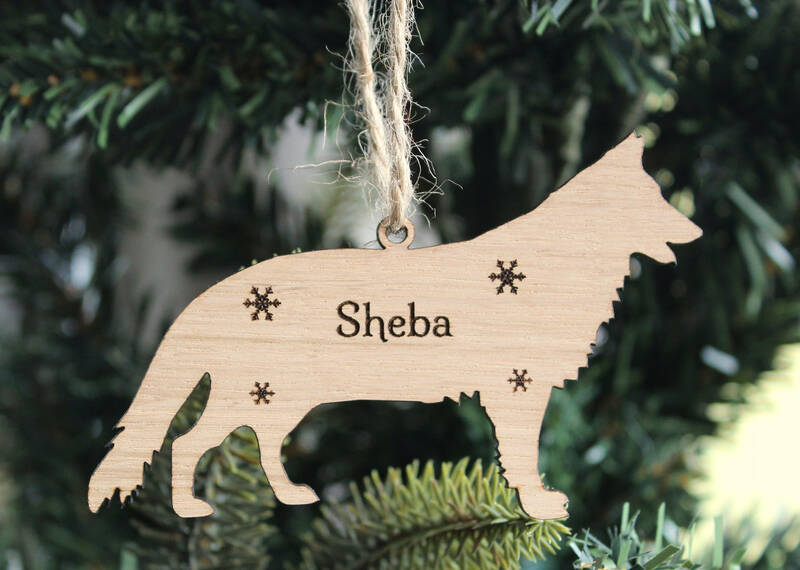 Please let us know your chosen pet name and choice of ribbon colour in the notes to seller section at the checkout.